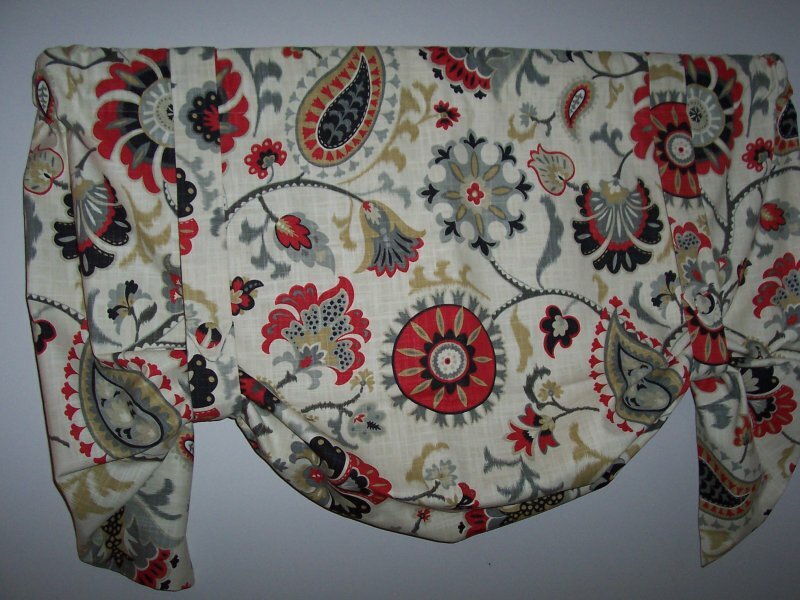 Beautiful custom mock balloon valance in new Waverly Siren Song in the Graphite gray colorway. 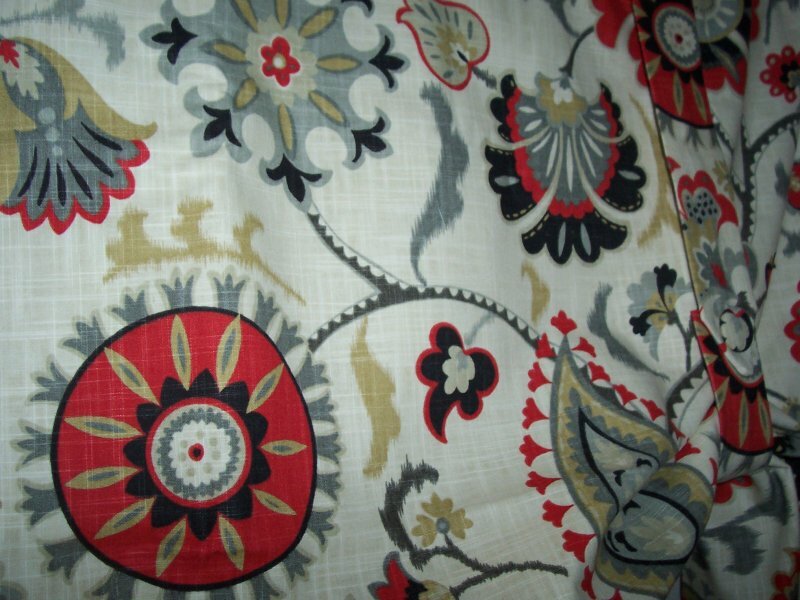 Fabric features a large scale paisley type design in shades of gray, tan, red and black on a cream color background with woven linen appearance. It is approximately 52 x 28. The balloon effect is achieved with sewn on straps that have pointed tab accent with fabric covered buttons. 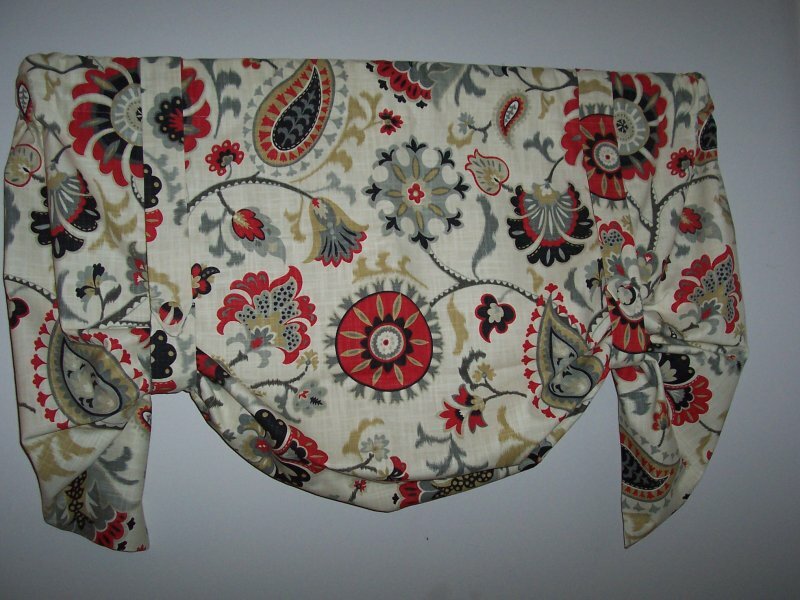 The valance is fully lined in white and fits windows up to 42 in width. Custom sizing is available.